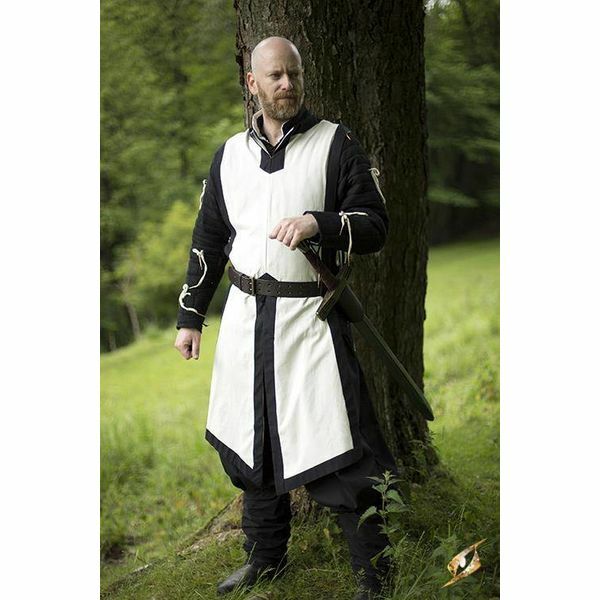 This tabard is inspired by historical originals and can be worn over armor or medieval clothing. On the side it has ribbons to fasten it. 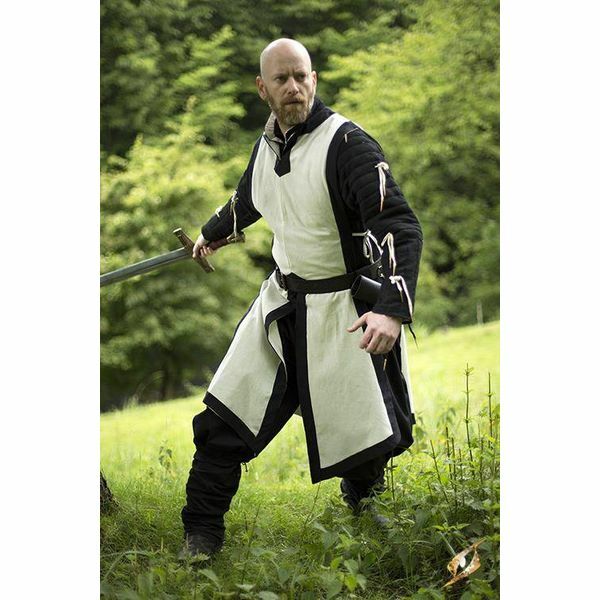 On the sides, front and back, it has splits for optimal freedom of movement. 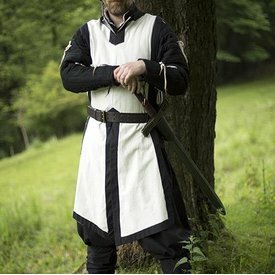 Suitable for medieval re-enactment, LARP and festivals.